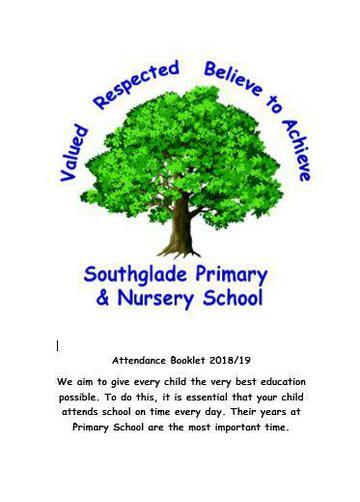 At Southglade Primary and Nursery School there are a team of staff members who work to promote the importance of attendance across the school. If you have any questions or concerns please contact one of these staff members. - A weekly assembly focusing on attendance where classes with attendance over 98% get a spin on the attendance wheel of fortune. The winning class, with the highest attendance, also get to keep the attendance bear. 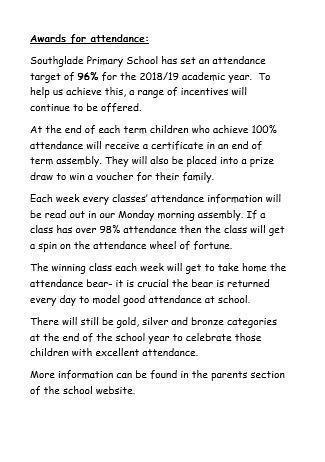 - 100% attendance certificates will be given out at the end of each term for children who haven't missed a day of school. They will also be entered into a prize draw at the end of each term. - All classes also have their own class based incentives when every child is in school on time. 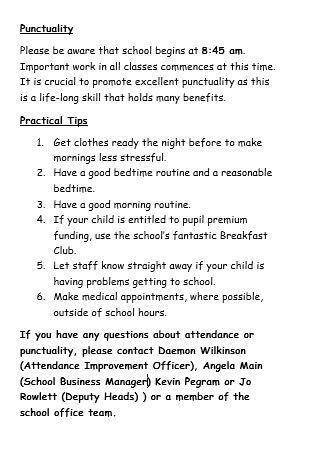 When a child's attendance is too low and it drops below 90% you will contacted by a member of the school's attendance team via letter. You will then be placed on a monitoring plan for 6 weeks. 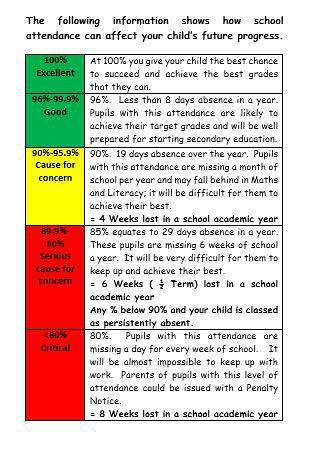 If there is no improvement in the attendance level of your child then you will be invited to an attendance meeting where individual targets will be set. Prior to this meeting being held, school will contact your child's class teacher to find out the impact of poor attendance/ punctuality is having on the learning of your child. A member of the attendance team will then discuss with your child how they feel about not regularly attending school- the child's voice is crucial within the whole process. 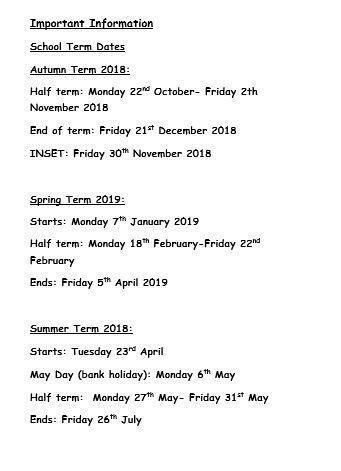 A 4 week period of intensive monitoring will then take place; if there is no improvement following this, then a referral to the Education Welfare Service may be made. 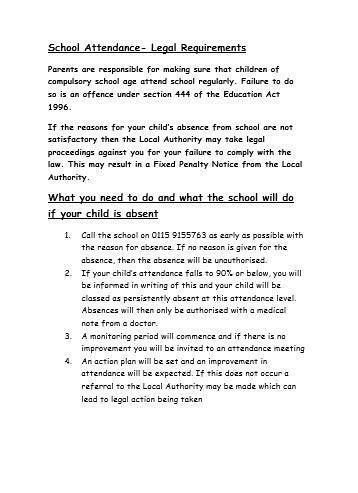 In some cases, low attendance may trigger a referral to children's services.The persistent absentee process is shown below in one of the attachments at the bottom of the page. Leave of absence including holidays will only be authorised in exceptional circumstances. All leave of absence requests should be submitted using the leave of absence request form that is available to download or from the school office. Please ensure that forms are completed in good time. 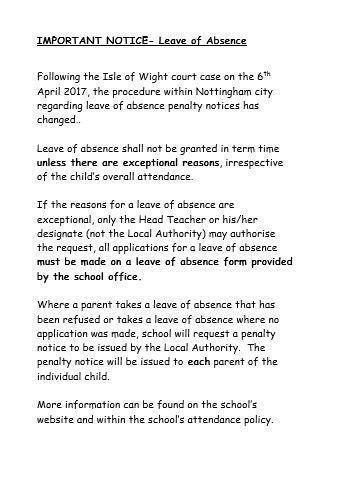 If leave of absence isn't granted a referral may be made to the Education Welfare Service and a fine may subsequently be issued.